Saikat Mitra, Creative Director, Van Heusen mentioned “We are happy to present the Van Heusen Bags range for the smart and sophisticated women of today. The collection fuses the best of international designs with modern functional forms and signature Van Heusen aesthetics. The collection promises to deliver trendy fashionable bags for a wide variety of occasions and the multiple worlds of women. These bags are the best blend of form and function to create fashion bags for ‘every woman - every time’”. Van Heusen consumers are leaders for whom elegance and style are not just fads, but a philosophy. 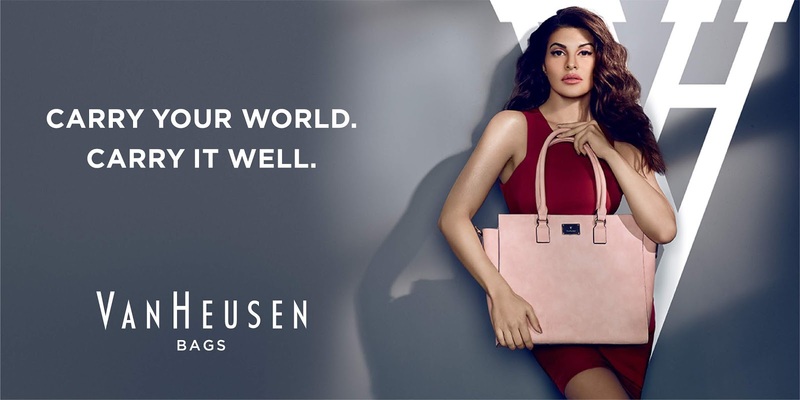 The newly launched women’s handbags range is modern, minimalistic and timeless in design and is distinguished by high quality with a sincere effort to realize the countless impulses of the present-day woman. The collection comprises of some key pieces - Carry Your World, a bag that acts as a woman’s efficiency partner. Right from laptop, Ipad, notebook, water bottle, chargers, keys, make-up and essentials, this bag is designed to organize her entire world in a convenient manner, enabling her to carry her world wherever she goes! Other Key pieces to look out for are the 2-in-1 Reversible bags that transform your look in seconds – worn 2 sides with different colours on each side with a big detachable inside pouch, the Convertible bags that come with extra changeable flap – essentially 2 bags for the price of 1 and the Van Heusen Monogram set of totes, satchels and wallets.